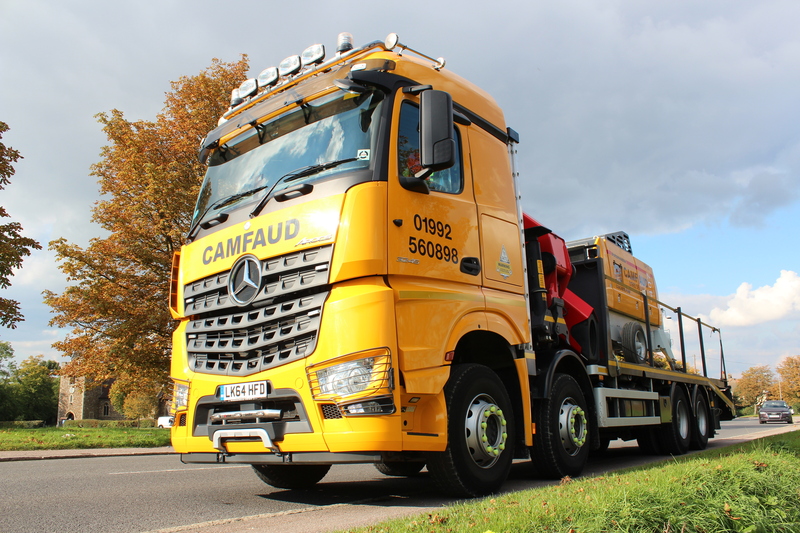 The Camfaud Group is currently the largest hirer of concrete pumping equipment and associated services in the UK, the company’s operated hire fleet comprises small line pumps right up to giant 63 metre boom pumps. The company also boasts an extensive fleet of non-operated static concrete pumps and placing booms. The company’s headquarters is in Epping in Essex with regional offices in St Helens in Lancs and Fareham in Hants and numerous satellite locations throughout the country providing truly national coverage. 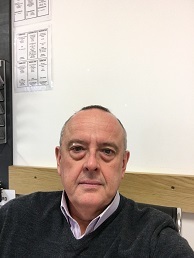 The company Plant and Transport Manager Richard Clark explains how the journey through FORS has resulted in significant improvements in key areas of driver quality, WRRR, fuel efficiency and the ultimate reduction of CO2, NOx and particulate matter emissions. The Camfaud Group initially became Bronze members back in 2013 initially as a result of demand from some of our larger clients. We immediately realized the core aims of FORS were clearly aligned to our company ethos of improving safety whilst complementing our drive to improve fuel efficiency and reduce our environmental impact. The initial Bronze audit proved to be a challenging process and despite already having robust policies and procedures in place, it clearly demonstrated that there was still room for improvement in certain areas. FORS subsequently provided invaluable training, tools and constant advice on improving our systems and policies. With the significant demand from within our industry to start demonstrating an increased level of accreditation coupled with our commitment to continuously improving our operations in all key areas, we immediately started to work towards Silver accreditation which we achieved in 2016 and ultimately Gold which we achieved in 2017 immediately taking full advantage of the benefits provided by FORS. The performance management toolkit really assisted us when setting up our own bespoke in-house systems for MPG, emissions and accident monitoring and training and development. The help and guidance provided by FORS to me as a Transport Manager especially the practitioner workshops attended since initial membership have been invaluable in acquiring skills and knowledge to manage our fleet more effectively and efficiently, to comply with ongoing legislation and ensure that our fleet meets safety and emission standards. The comprehensive driver training programme both in the classroom and on line are continuing to give our drivers a much clearer insight into the impact that we, as a company can make in many areas of the business. They have clearly boosted skills and knowledge which has resulted in improved performance and ultimately raised morale which helps us keep our top people. The company also continues to engage the services of the Licence Bureau. This service performs risk related checks in the background quickly, securely and accurately continuously analysing any changes in driver details to ensure that compliance with duty of care obligations is on-going. The Camfaud group has always prided itself on being the best and providing the best service. It was therefore an obvious decision that after initially gaining FORS bronze accreditation in 2013, that progressing to silver status which we did in 2013 and subsequently gold which we did in 2017, would be the best route forward. It would not only help us stand out as a ” pace setter ” amongst our competitors in our individual industry, but also to demonstrate our commitment to the practice and spirit of FORS and our ongoing commitment and continuous improvement in all key areas of the FORS standard. Driver health and fitness review – All new drivers, as part of the company induction process are required to complete a comprehensive medical questionnaire and declaration. They are also requested to carry out a standard 21m eye sight check. This is repeated and documented on a 6-monthly basis. To enable the company to monitor and manage driver health and fitness. The company has engaged the services of an external occupational health practitioner to carry out fitness to work assessments. These assessments are carried out and documented on a strict 3 yearly basis and the CBH (Construction Better Health) and DVLA class 1 medical standards are applied. Strategy for recruiting new drivers – The company forming part of a very specialized industry the company traditionally enjoys a very low staff turn around. Our HR dept generally has a constant database of potential candidates and subsequently rarely needs to actively recruit or implement a formal policy. In addition to the above we now run an internal training programme where unskilled operatives are drawn from our HR database of saved enquiries or indeed from existing employees from other areas of the business are brought into the company and spend a minimum 3 months shadowing existing drivers and learning all aspects of the driving and operating side of the business as detailed in the company operator procedure guide before being allowed to operate alone. To ensure ongoing high standards all drivers attend annual refresher training courses as well as on the spot site checks which are recorded and documented for quality assurance purposes. Noise assessment – The company has always had a robust approach to noise pollution within its operation, however, The FORS standard has guided our focus and awareness on the need to eliminate or minimise noise pollution across as far as practicably possible. All Company drivers have been fully briefed on our Company Noise Pollution Policy to ensure that noise pollution is kept tan absolute minimum both within company premises and on our customer job sites as far as is practicable. This includes securing of ancillary equipment on our pumps, unnecessary engine idling, driving technique, and optimum route planning. Noise assessments have been carried out on various activities within depot-based operations and appropriate measures have been taken to eliminate or minimise where possible. Modal shift and alternative vehicles – Camfaud Concrete Pumps Ltd operate a fleet of mobile concrete pumps and as such no load is ever carried. The pump being a permanent fixture of the vehicle Due to the nature of the business all contract start times to construction sites are highly time sensitive due to the pumps having to arrive on site to meet concrete delivery wagons, as such the area road networks are heavily relied on and any form of modal shift is very restricted. The company does however operate wherever practicable to a strict routing and scheduling policy in an effort to reduce fuel consumption and subsequent emissions Due to the nature and design of our range of concrete pumps and very restricted supply chain. There are currently no options to switch to any form of alternatively fuelled models for the pumps, however the company’s replacement programme for next year does entail the purchase of euro 6 engine pumps , in addition to which a significant quantity of the fleet of company vans are due for replacement for euro 6 models and consideration is being given to the renewal of company cars to alternate fuel as part of a replacement programme. This year has also seen the introduction of a brand-new drivers handbook which covers all key areas of the business and is designed to assist the drivers in presenting themselves as “true professional drivers “to the industry and general public alike. A copy is attached for reference. This year, acquisitions from within the industry have now seen the groups natural transition to MOCA accreditation spreading further the FORS standard and its best practices throughout the UK. These new improvements and updates we feel have all contributed to making measurable improvements in key areas of the business. The plans for next year are to continue to make improvements to the company’s current fleet holding. This year has seen the replacement of 4 older mobile concrete pumps with new Euro VI engine models, and the fleet replacement programmed for the coming year will include the same spec. The company is also currently looking at the replacement of several company vans and cars with alternate fuel models during the first part of 2019. Driver health, fitness and wellbeing continue to feature highly on the company’s agenda and we will be continuing to assist and support through initiatives in these areas during next year. FORS GOLD accreditation has been a demanding but extremely rewarding progression for Camfaud Concrete Pumps Ltd. The continuously rigorous standard required from FORS continues to be what we aspire to and will be working to on an ongoing basis. All innovation within both our own individual industry and the transport industry will be integrated where ever practicable to improve all key areas of the standard. We want to continue to be at a consistently elevated level and as a Company being FORS gold accredited demonstrates commitment to FORS, our customer base and the public alike.